Farid Ayar (L), spokesman for the Independent Electoral Commission of Iraq (IECI), and the IECI's Chief of Electoral Office Adel al-Lami discuss voting returns during a press briefing in Baghdad on 5 February. Assyrian political parties in and outside of Iraq have submitted grievances to the IECI, demanding complementary elections in the Nineveh Plain. Q- Can you give the readers a historical background about the circumstances that led to the establishment of your Organization and the major phases it has gone through since its inception? Saadi: The establishment of the Assyrian Democratic Organization on the 15th of August 1957 in Qamishly, Syria , came to fill a political vacuum and was a response to a political need that existed in the Assyrian political arena in the homeland and Diaspora and among all our communities. It was a challenge to the national frustrations and despair of the usefulness of any political activity in the aftermath of the first world war where about 500,000 of our people were massacred and many others were displaced from their homes at the hand of the Turks and their allies. The pre-foundation period in Syria in the 1950's is characterized with a great deal of democracy and political freedom. The conditions prevalent then gave opportunity to our people in Syria, particularly in al-Jazire, to reorganize and establish its religious and cultural institutions following the massacres and the displacement. Hence, churches, with all their adjoining organizations, like sporting clubs, scouts, and cultural societies were founded. Moreover, some literary magazines were published, and others arrived from overseas. These publications, which came from North and south America, were imbued with the spirit of nationalism and called for national uplifting. Most important of these were The Syriac Assembly (Aljameha) Magazine from Argentina, published by Farid Nazha, and before it, the Union and Beit Nahrein magazines published by Malfono (Master/teacher) Naom Faieq. Furthermore, the contributions of our pioneers, people like Naom Faieq , Ashour Yousef, Bashar Helmi Boraji, Sanhareeb Bali, Boaiel Warda, Fredoun Athoraia, the martyr Patriarch Mar Benyamen Shimmun, added to this, the heroic struggle of our people in the beginning of the 20th century against the tyranny of the Ottomans, to mention but few: The movement of the Hakkari Assyrians who joined the Allied Forces for the sake of establishing an Assyrian entity, and later on, the political struggle fought in the corridors of Paris Peace Conference in 1920, and the efforts of Bishop Afram Barsoum in Paris and London during the Paris Peace Conference, as well as the participation of six Assyrian delegations from Syria, Iraq, Iran, Russia and America to make their demands from the Allies, in the Peace Conference in Paris, international guarantees for our people’s national rights on their homeland followed by the attempts exerted by the Assyrians in Iraq between 1920 and 1933 for the sake of our national rights in Iraq. All theses efforts played great role in shaping up a national political awareness amongst our young and educated people and prepared the political and ideological ground for them. This ideological ground paved the way for the formation of the first political national body in our modern history, based on ideas derived from the reality, the ideals and culture of our people. Our Organization (ADO) has declared since its inception, democracy as a method, ideology , and practice, in its political process and internal activities. At a time when the political arena was swept by totalitarian ideologies and big projects that proved failure, the ADO demanded the recognition of the indigenous rights of the Syriac, Assyrian and Chaldean people, as well as their language and culture, and further the safeguarding of the political and cultural rights of these people within the framework of a sovereign national and unified state, it has moreover stressed the importance of building bridges between our people in the homeland and in Diaspora. Q- Why did you call yourself an Organization and not a party? Saadi: It was called an Organization because it is a literal translation from Syriac language. In Syriac we say “ mttakso” which has the exact meaning of a 'party', so there is no difference between the two and the word 'Organization' fulfills all the objectives and the requirements of a party. Q- What is the nature of your struggle and what are you struggling for? Saadi: The nature of our struggle depends on the power of dialogue and language, rejecting all forms of violence, extremism. It further depends on the policy of 'burning the phases'. The goals that we strive to attain are: a democratic, secular and diversified system based on justice, equality and human rights, a system that guarantees the right of all minorities, recognizes our rights as aboriginal people including the language and culture. Moreover, we aim at securing the political and cultural rights of our people within the framework of the unity and sovereignty of the state. We work to build a bridge between the homeland and Diaspora and utilize this in the national interest of our people. On the other hand ADO views the genocide perpetrated against our people by the Turks during the First World War that caused the death of half a million and the displacement of another half and the permanent loss of lands and property as well as religious and historical monuments, a crime against humanity. Turkey should recognize this genocide and compensate our people for the losses, as well as guarantee their right of return to their lands with an apology from the Turkish government for the atrocities committed. Besides, we demand the European Union to make Turkish recognition of the Armenian Genocide as a prerequisite for its joining the EU. Q- To what extent do you think ADO represents the various components of your people: the Chaldeans, Assyrians and the Syriacs? Do you represent only the Assyrians or the others as well? Is ADO the only operating one amongst the Assyrians? Saadi: ADO, since its founding, was always made up of all the components of our people: the Syriacs, Assyrians and the Chaldeans. Our founding fathers were of various communities, and we believe that this representation is a source of pride and a criteria of credibility for any Assyrian national party. As I have said ADO was the first political party and its ideology and experience prepared the ground later on for the formation of other parties that currently outnumber the need of national arena, and owing to the problem of denominations among our people, many parties with different Syriacs, Assyrians and Chaldeans names have emerged recently . As to us, we have tried hard since the mid-1970s to cooperate with the Assyrian parties. We called for the creation of a common national front policy, but it didn’t work out because of the differences of visions. Nevertheless, in the beginning of the 1990's we succeeded in concluding a common work program policy with the main Assyrian party operating in Iraq, the Assyrian Democratic Movement. 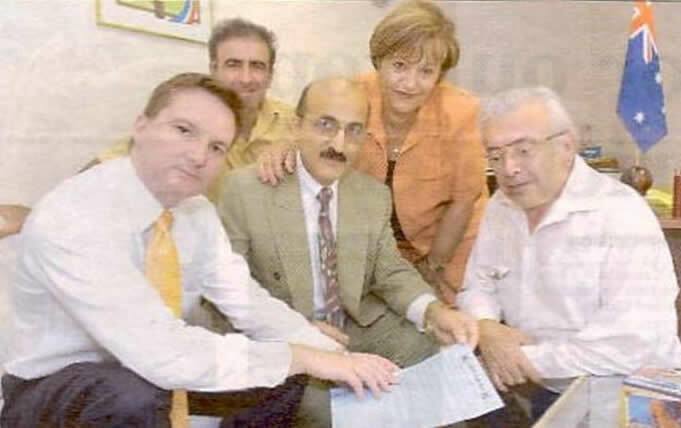 Then, in late 1990's , in coordination with the Assyrian Democratic Movement, we formed an Assyrian Alliance with another three Assyrian parties: the Assyrian Universal Alliance, the Beith Nahrein Democratic Party and the National Assyrian Organization, which unfortunately did not last long . 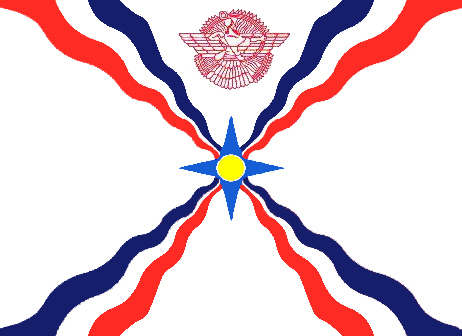 There are many other Assyrian parties with different Assyrian, Syriac or Chaldean names operating currently in the homeland and the Diaspora . Q- It's known that most parties in Syria whether inside or outside the Front (except for the governing AlBath party ) have suffered splits . Did your Organization go through such an experience? In your opinion, what are the direct and the indirect causes for such divisions? How do you deal with phenomenon such as this? Saadi: I think this is a natural phenomenon. It may happen to any political party or sect. They are the result of differences of opinions and ideas that emerge in the course of time, as well as the change in political, economic and social circumstances and how these changes are viewed by people. Moreover, they come as a result of the conflicting interests of the members of a party, a party, in the end, represents the overall interest of its members, political, economic and social. The important thing here is the ability to deal with such differences and how to contain and find solution for them within the framework of the party's mechanism and constitution. Generally speaking, whenever there is democracy and wisdom in a party, divisions decrease and vise versa. Instances of dissent increase when the party is in power and in cases of stability and calm, and becomes less in times of secret struggle and threats. As far as our Organization is concerned, we have gone through such dissents because some of our comrades in the leadership of various councils have put forward programs influenced by the revolutionary and unrestrained ideas, and consequently they were not able to propagate these ideas among the members. ADO could not take in such radical and extremist views, so they quit and formed another political group which was doomed to fail. In 1970s, an extremist nationalist group emerged, but again they soon quit too and formed another political entity. Once again, in mid-1980s a condition for another split emerged but lasted for only 2 years and the Organization could contain it through dialogue and wisdom. Since then the Organization has not suffered any serious splits. There are always problems now and then especially in our branches in the Diaspora, but these are solved within the mechanism of the party, though they sometimes take much time and pains. Q-Most splits are the results of conflict of power in the party. How does the transfer of power takes place in your Organization? Does it take place smoothly? Saadi: Conflicts on positions is found everywhere and every time and this is something inherent in the human being. It happens even in the oldest democracies in the world and this is justifiable, because the person striving to seize power should bring with him his new vision and better programs for the party. Nevertheless, he should be ready to accept others as well with him in the top echelons. As long as he reaches there legally the opportunity would still be there waiting for him in the next election if he is able to convince the others of the soundness of his policies. As for us, we are used to transfer of power legally, and this takes places according to the constitution and the election mechanism within by-laws and general conventions, regular and exceptional ones . By the way, our Political Bureau has gone through 100% change, and our Central committee some 90% change. This change has affected the Secretary General's position following the two last conventions . Furthermore, in the 10th convention we have decided that the Secretary General should hold his position only for 2 successive periods and then step down. Q: What kind of relationship do you maintain with the political parties working in Syria, whether inside or outside the governing Front ? At present we have good relations with the Democratic National Assembly, with Kurdish parties, whether Kurdish alliance parties or Kurdish Front parties , with the Syrian National Party, Committees for the Defense of Civil Societies, the Syrian Committee for Human Rights and with most independent politicians and intellectuals. We maintain good terms with both sections of the Syrian Communist Party and are trying to forge good relations with the ruling AlBaath Party . Regrettably , the latter has not opened up windows of dialogue with us so far; it is still following the policy of disregard and arrogance, the single positive attitude was sensed from their Hassake branch, was their representative’s participation in the seminar held by us entitled the “Problem of National Identity in Syria”. Nevertheless, unofficial dialogues are being conducted from time to time between us, and we understand from messages we receive that there is possibility of opening up with the other patriotic parties and that a new law regarding these parties will be put forward at AlBaath party’s coming convention in June this year . Q-What is the role of the church in the political life of your parties? Is it a kind of guidance and guardianship or sort of consultation and completion? Saadi: The Church exercises a great influence on our people and this is due to the fact that the Church has always been a source of secular and spiritual guidance for our people . During the Ottoman rule it was the legal representative of our people through “ the religious sects’ (Millet System)“, and the “Nestorian" Church of the East played a major role in the political, spiritual and military life of our people, especially when the seat of the Ppatriarch was in “Qochanis” in the mountains of Hakkari. This role relatively diminished in modern times as the power of the stat , the political parties and institutions increased. At present, the Church does not interfere with politics, but the relationship between the Church and the political parties is generally positive. ADO maintains good relations with all churches and further considers them as cultural, social and religious institutions. It is the receptacle that contains our people’s cultural , musical and linguistic heritage and we view it with respect and veneration. Q-Until recently ADO's relation with most Kurdish parties was rather very limited and characterized with some apprehension and irritation. But in the last few years this has changed. The relation between you and some Kurdish parties reached a state of alliance during parliamentary elections. How did this relaxation happen? Saadi: The feeling of apprehension has been built up throughout the history and was fed up by a condition of isolation and disconnection owing to the political stagnation, persecution and absence of democracy in the society. All parties suffered from this condition until the 1990 parliamentary elections, when president Haifz alAssad created a democratic opportunity for the independent candidates to run for the election without interference of the state. The result was ADO's candidate and three other Kurdish candidates from Hassake won seats in the parliament. This was a good opportunity for ADO and the Kurdish parties to get to know each other better. This cooperation was further strengthened between us in the successive local and legislative elections in 1991, 1994 and 1994, and we always try to keep it active and good . In this connection our Organization sought hard, during Qamishly’s events of 12 March 2004, to calm down the situation and reach a solution based on national political dialogue rather than one of security concerns. This stance by ADO and its initiative of forming a delegation made up of Christian community representatives, or calling for a common dialogue gathering with the participation of various components of the society helped a great deal to pacify the trouble in the region . It is worth mentioning here that we view the Kurds as one of several components of the Syrian diverse society. They have the right to exist alongside other components: Arabs, Assyrians, Armenians and others. It’s particularly important to note here that since the arrival of president Bashar alAssad there has been a policy of relaxation and reform which has positively affected the progress of political movement in Syria and this, in turn , has influenced everybody, including us. Concerning the last part of the question, the best means of maintaining good relations between the Assyrians and the Kurds is, by possessing the political will and readiness to accept one another, not merely by uttering empty and false slogans and meaningless words but by turning them into action. The two sides must adopt moderation and keep away from extremism. They should realize that they are partners in this homeland which is the property of all its people. Further, they should not lock themselves in the past, rather take lessons from it to build their present and future. Q-Concerning Qamishly’s events on the 12 March 2004, in your opinion who was to blame? Were they planned? And how do you assess the role of the Kurdish front, on one hand, and the authorities on the other, in dealing with the events ? Saadi: To me, the main reason lies in the inability to grasp the causes behind the tension in the football match played in Deir Azzor two weeks before the events between the football fans of AlJihad and AlFootwa. The authorities in this two cities should have closely followed the circumstances that triggered the frictions. We all know the impact of the situation in Iraq on both teams. The cheers reiterated by Footwa's fans along the streets of Qamishly before the match were portentous, so the authorities should have taken sufficient measures. Secondly, I think the firing of live shots by the police was not justified and was a grave mistake the responsibility of which falls on the authorities. I totally reject the theory of outside conspiracy, or that the events were preplanned . On the other hand, many mistakes were made by the Kurdish fans during the funeral procession the next day, by lifting Kurdish flags, chanting extremist Kurdish slogans, and sabotaging government buildings which triggered adverse reaction by the security forces. Generally speaking, the role of the Kurdish movement was moderate as they tried to calm down the situation. We felt the same thing on the part of the security forces. Our Organization played a constructive role in pacifying the situation . Q-What is your opinion on the general situation in Syria and the prospect of democratization, human rights, and the establishment of the institutions within a civil society? Saadi: I think the process of a peaceful transformation from one system to another without crises or losses takes time . We believe in the gradual change toward democracy according to a scheduled program of reforms that will involve all forces of the society including the state. Let these reforms be administered by the state, if it truly believes in the democratic transformation process. The initiative of President Bashar alAssad in his inauguration address about reform and development in Syria, sent strong messages regarding the respect for diversity and for other people’s opinions. This was encouraging and built up an atmosphere of optimism and high hopes that paved the way for a broad dialogue everywhere in Syria. But regrettably, this openness, which was named the Spring of Damascus, was called off. This was a grave mistake which created frustration in the political life. I am convinced that despite of the slowdown in reforms, they are coming, because the regime has no other option. Things can't go on like this forever and the continuation of emergency and martial laws, marginalisation of the major political forces working in Syria, denial of minorities’ cultural rights, the state of governing Front’s political parties (some of which have posts that outnumber their members) all these can't go on for ever. The country is badly in need of a law regulating political life within the framework of legality. For all these reasons, I say that reforms will be coming soon, although we have to admit that some have already started but are far from expected. 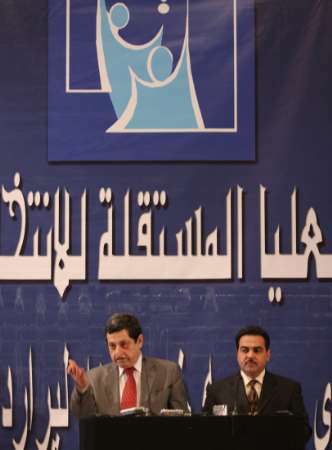 AlBaath party’s convention is to be held in June 2005, and reforms are the main points on the agenda I suppose. Let’s wait and see . Q-Much has been said about the conflict of power in Syria between the old guards and the new generation represented by president Bashar alAssad as regards the implementation of reforms . It is said that the president is working hard to implement these changes, but this clashes with the personal interests of those who may eventually lose their positions or influence. What do you think about that? Saadi: What is said in this regard are mere conjectures in my opinion. The president is on top of the political system. There are people whose interest run counter to the general reforms, these may be from old or new generations or both , they try to hamper any step in the direction of reforms, but I think that the regime’s overall interest lies in pushing forward the process of reform without hesitation or cessation. Q-What is your party’s stand concerning pressures exerted on Syria by the US, France and others regarding Syria’s policies in Lebanon, Iraq and the Palestinian issue, as well as issues of human rights, terrorism and others? Saadi: As a political and patriotic organization, we oppose all kinds of pressures on our country from whatever sides they may be. We further consider these interferences in Syria’s internal affairs as against the international law stipulated by the UN charter. Irrespective of our stand towards the regime and the internal policies, we think it is the duty of everyone to stand by their homeland against all outside pressures. At the same time, it is incumbent on the State amidst these difficult circumstances, to take the imitative and consolidate the internal Front by involving all the political forces in this domestic issue, and opening up windows of dialogue with all forces with a goal of reaching a common vision for the present and the future of the country. Q - How do you assess the situation in Lebanon especially after the extension for president Lahood and the issue of withdrawal of Syrian troops as per resolution 1559 . In your opinion what is the outlet for this impasse ? Saadi: The situation in Lebanon , as a matter of fact, is connected to the civil war in Lebanon and the Syrian troops went there in response to the request of the Lebanese government. The political future of Lebanon and the withdrawal and redeployment of the Syrian troops have been decided in the Al Taif Agreement . The Syrian presence in Lebanon played a great role in safeguarding the security and building up of the institutions and the army there. This was not accomplished without political and administrative errors that made a good number of Lebanese feel great resentment. Only a year ago, there was a general feeling of satisfaction both internationally and regionally about the Syrian presence there, but the American presence in the region, on one hand, and the isolation of France on the other has changed the equation. Now the situation is completely different . I think , the best solution for this dilemma is holding a convention between the Syrian and the Lebanese side with the participation of all political forces in Lebanon, with an aim of reaching an agreement and drawing up plans for the withdrawal of Syrian troops in order not to give the Americans an excuse for interference in our affairs . Q-What is the nature of relationship between ADO and the Assyrian Democratic Movement (Zowaa)? Saadi: The Assyrian Democratic Movement is the major Assyrian organization in Iraq and our Organization has signed a policy of a mutually working relationship with it that depends on cooperation and coordination in all political and national aspects, with exception of the internal policies. This program is still working and getting stronger through involvement in the national issues. This does not mean that there are no mistakes, but by and large, this policy is considered a model of cooperation among Assyrian national parties. Q-How do you view the patriotic and the national struggle and the linkage between them ? What is you position regarding the viewpoints that oppose and criticize the cooperation between two parties belonging to the same ethnicity but operating in different countries? Saadi: I think there is a dialectical relationship between the patriotic and national struggle. As to our Organization, the relationship between the two was stressed in the 90ies. We think that people of the same ethnicity that due to political , historical and geographic factors were dispersed and spread over several countries, have the right to communicate and to sympathize with each other . In general, any two parties of the same ethnicity operating in different countries have the right to communicate provided that this wouldn’t contradict with the policies of either countries where they are operating in. In fact it should be in the interest of that country . Q-How do you see the condition of the Assyrians, Syriacs and Chaldeans in Iraq in general, and in the Kurdistan region in particular? Saadi: The number of our people in Iraq has greatly shrunk due to the repression and tyranny they have suffered throughout the ages. Currently, they constitute only 5 % of the overall population in Iraq. They, like others, have tasted the bitterness of Saddam’s dictatorship. As a matter of fact, they tasted double bitterness, the political, ethnic and religious ones. Q- Why so many of your organizations, especially those operating outside Iraq view the achievements the Kurds have accomplished with dissatisfaction and animosity , although the ChaldoAssyrians in the Kurdistan region have had many advantages and rights, such as teaching in their national language, celebrating their national and religious holidays, political freedoms, freedom of forming parties, unions, of representation in the government and the parliament etc.? Saadi: I don’t think there is animosity, but dissatisfaction, yes. This has a historical background. Firstly, the genocide perpetrated by the Turks in which the Kurds acted as an instrument since they were in a state of alliance with the Turks through their tribal semi-official system . Secondly, as we have mentioned above, there is still encroachment upon the properties of our people in North Iraq, in addition to the extremist tendencies among some Kurds who are trying to implement a "Kurdification" policy in the region. On the other hand, there is a general widespread tendency now amongst our people including Assyrian Democratic Movement and many other AssyrioChaldean parties, which favors building good relations based on mutual trust and respect between the two nations. Q-Concerning the name Iraqi Kurdistan, in your publications as well as in many other organizations, it is still called North Iraq although Iraqi Kurdistan has been included in the Iraqi interim administration law. Will you keep on denying this fact or things would change for you when this new reality will be included in the permanent Iraqi constitution? Saadi: We, in ADO view the history and facts then read and call the things accordingly . The region that our Kurdish brothers call Kurdistan or the Southern part of Kurdistan, we do not view it likewise . Of course, this is not meant a denial of their rights, but as a matter of fact, it is our interpretation of history, geography and facts . This region, except for the northern part of it, north of Shahrazour river, has been the center of historic Mesopotamia and the cradle of the Assyrian civilization and State. The major cities here like Kirkuk, Arbel, Zakhoo and others are historically Assyrian, and until the beginning of the 20th century the area was called (al Mousel province ) and our people constituted 30% of the population. Moreover, the Syriac sources called the area ( Land of Athoor) and sometimes (Nineva Plain), whereas the Persians called it (Marzbanet Athoor). The neutral geographers did not call it Kurdistan . The well-known geographer “Yacout alHamoui” called it “AlJazire” or “Akor”. So based on what we have shown, we don’t call the region Kurdistan because it isn’t so, not because of a prejudice against our Kurdish brothers as some may think, but because we see it in its real historic perspective. It is correct that Kurds form the majority of the population now, but that is because of firstly, the immigration of our people for very well known reasons and secondly, the high population growth rate among the Kurds. So Kurds have the right to these areas owing to their population ratio, as part of Iraq politically, culturally and administratively, guaranteed by international conventions . Similarly, we view the rights of Kurds in Syria and particularly in Jazira . Some Kurdish intellectuals and parties call the area as Kurdistan or a part of it , but we say the opposite. Historically, it was a part of Mesopotamia, the stage for the great Assyrians, and today it is a Syrian territory where Kurds, Arabs, Assyrians and Armenians live. It belongs to all of them and all have equal political, cultural and administrative rights in it as their homeland. As for the possibility of changing our mind when the permanent Iraqi constitution is issued and the area officially is renamed Kurdistan, we say, our stand will not change as regards the name. I think, the same applies to Kurds who still call some villages and towns whose names had been changed by the authorities, by their old names, we think they have the right to do so, and this is the right thing . Q- Now my question is about the ongoing argument among the different components of the Christian people ; Chaldeans, Assyrians and Syriacs etc… about the naming that would satisfy every body and unify them amidst current difficult circumstances in Iraq. Do you think that a unified name would eventually fulfill the expected union? Are the differences amongst the various factions bigger than a common name would unify ? Saadi: First of all , it is wrong to call our people in Iraq the Christians . There are more that one billion Christians in the world spread over hundreds of nationalities . Our people are the descendant of the Sumerian, Babylonian, Assyrian, Chaldean and Aramaic civilizations. As a matter of fact, our people with their various denominations, know well that their national origin is one, and the name of their common language is Syriac . They further know that all these names whether Assyrian, Chaldean, or Aramaic are historic ones which are shared by all of them and belong to everyone. Furthermore, what happened last year in Iraq before elections illustrates clearly that the unity of our people is more important and urgent than the problem of the names. Between 22 and 24 October 2004 the representatives of all political, cultural and ecclesiastical institutions of our people met in a conference in Baghdad and agreed upon one composite naming “ChaldoAssyrian”, and the “Syriac” for language and tradition, and this name was officially approved in the Iraqi Administration Law. There are exceptions to this rule especially those who do not want to see our people unified or those who don’t know the history of their people. Q- No doubt the mass emigration of your people from their homes in the Middle Eastern communities , due to policies of religious and racial persecutions, has considerably reduced its presence especially in Iraq , Syria and Lebanon. Its influence on the political life and elections has weakened to a certain degree. Doesn’t this hamper your ambitions and greatly diminish your political representation and influence in the respective countries ? Saadi: You are right that we have lost much of our electoral power due to mass emigrations. For instance our presence in Iraq is currently not more that 5% of the overall population. In Turkey, the situation is more tragic, only two thousand live in the South-East, out of one million before the First World War, this no doubt, constitutes a real problem for us whether in Iraq, Syria , Lebanon or Iran . On the other hand, our people in the different countries of Diaspora feel a strong affinity with the homeland and that they are an inseparable part of it and dream of the day that they would be able to return again . Q- How did you deal with the murder incident of two Assyrians in Hassaka committed by the sons of Fawzi alRadee and its aftereffects: burning of some stores, demonstration in front of the governor's residence and the arrests made by the authorities of some Assyrians? Are there any similarities between this incidence and the one that happened on 12 March 2004 regarding the causes and the reactions of the authorities ? In a meeting held on 25 October 2004 at the Orthodox Syriac Bishoprics center headed by prelate Hanna Rohem and included beside representative of all Christian communities, delegates from Shamar, Jeboor and alBAkara tribes, the conclusion was reached that the murderers' family should be moved from the quarter where the murder took place and where the families of the victims live. Regrettably, the authorities did not carry out what had been agreed upon by the Council and the murderers' family keep on inciting and provoking the feeling of the two families as well as the neighbors until now. The Governor has assigned guards to protect the assassins' family day and night. This action by the Governor led to great frustration and resentment among our people and a feeling that the authorities are not serious in dealing with this problem. Added to this, the false statement made by the Governor to "al Hayat" newspaper in which he intentionally falsified the facts and described the murder as an accidental incident, as though trying to find excuses for the heinous crime, this distortion further deepened the feeling of frustration and bitterness amongst our people. ADO issued a statement summing up our position and calling for calm . We further held the authorities responsible for the after effects of the incident, and called for the release of our young people put in jail on charges of setting fire to the murderers’ house and taking part in the demonstration. Regrettably these young people were beaten in the police custody and their testimonies –which they later denied in before a judge -were extracted under torture. They are being held in a military prison and tried in a military court. As to your question, whether there is similarity between this incident and the one that took place on 12 March 2004, I say, yes - there is . There has been administrative and security mistakes. The Governor declared that he gave orders to fire live shots on the demonstrators if they dared to come closer to the Governrate's building. If one or two angry demonstrators went closer, a tragedy would have happened . Nevertheless, we think that it is everybody’s duty to contain the aftereffects of the incident which left deep scars behind. Moreover, the authorities should derive lessons from it and learn how do be fair and deal with such incidents with wisdom and farsightedness rather than delay and leave matters for the time to heal the wounds. (ZNDA: Washington D.C.) Election officials in Iraq said on 30 January that 5,171 polling centers out of 5,230 opened on election day. Among the ones not operational on that historic day were polling centers which would have served the political desires of over 250,000 ChaldoAssyrians in Iraq's Nineveh Plain (around the city of Mosul). Al-Sharqiyah television questioned the Independent Electoral Commission in Iraq (IECI) headed by Adil al-Lami and its spokesman Farid Ayar about comments attributed to Deputy Governor Khasraw Goran in which he said that four polling centers failed to open after they did not receive election materials. "This did not happen. We have distributed all the supplies, forms, and ballot boxes based on a tight plan to all areas. I do not know how [Goran] said this. We are certain that our work was good, although there is a possibility for human error. Any person might make a mistake. However, this did not happen," Ayar commented. Goran escaped an assassination attempt in Mosul on 30 January in an attack that wounded two of his guards, Kurdistan Satellite television reported. The Assyrian Democratic Movement immediately filed official complaints with IECI and the United Nations. IECI is conducting formal investigation into this matter in north Iraq at Zinda press time. According to sources to Zinda Magazine in Iraq, ballot boxes in most cases did not arrive in the predominantly ChaldoAssyrian areas, and in two centers they arrived after 11 in the morning. In centers where people could vote, the centers ran out of voting paper while more voters were joining long lines of people waiting outside of the voting centers. In the morning of Monday, 31 January, mass demonstrations erupted in Ayn Sifni township, north of Mosul. Dilshad Nu'man Farhan, a member of the Yezidi Kurdish Cultural Center Lalish and a member of the Kurdistan Journalists Syndicate told Radio Free Iraq that some 74,000 inhabitants of the district have the right to vote. Despite that, and even after [initial] protests from citizens, only 40,000 [sets of] ballot papers were sent to the district and only one single polling station was opened for 50,000 voters. The Kurdistan Democratic Party and the Patriotic Union of Kurdistan told Radio Free Iraq that not providing ballot boxes and ballot papers to four Kurdish districts in Mosul governorate [officially called Ninawah] was an intentional act that they described as an anti-Kurdish conspiracy. Representatives of six Kurdish parties met this week with government representatives in the Ninawah governorate building in order to discuss the shortcomings that accompanied the electoral process in Mosul governorate. CNN Arabic reported that on 3 February, a special committee of three attorneys left Baghdad to Mosul (Nineveh Plain) in order to investigate the irregularities and violations during the January 30th elections. On 5 February Az-Zaman newspaper published a letter from the Movement for Unionist Democrats to the Independent Electoral Commission of Iraq (IECI). In its letter, the Movement calls for complementary elections in the Mosul Plain in order to allow the ChaldoAssyrian Syriacs, Shabaks, Yezidis and the Arabs to exercise their constitutional right and vote. The Movement states that it supports the demands made by the Assyrian Democratic Movement (ADM), the Supreme Council for Islamic Revolution in Iraq (SCIRI), the Iraqi Communist Party (ICP) and other groups to seriously look into this matter and allow complementary elections in the Mosul Plain. 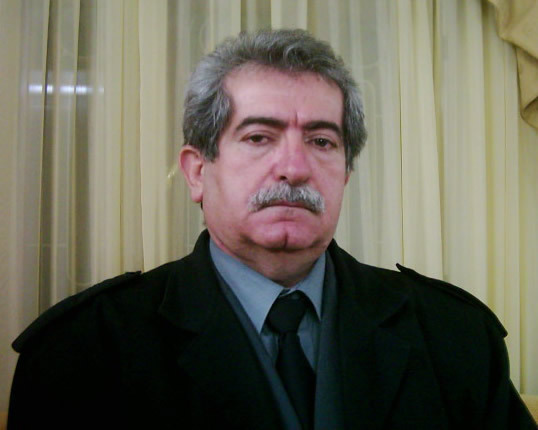 Mr. Hussein al-Rubai'ai, a member of the Movement for Unionist Democrats, told Az Zaman that the people of Hamdaniya, Bartilla, Shikhan, Bahzani, and Karamles in the Nineveh Plain whose population reaches 500,000 did not exercise their constitutional right to vote because the ballot boxes did not reach them, "a clear violation of any democratic process." In the meantime, Dr. Hikmat Hakim, a member of the Presidential Committee for the Interim Iraqi National Assembly, has threatened that the letters of complaints will not be addressed to the Independent Electoral Commission of Iraq (IECI) alone, rather he and many other groups will take the Nineveh Plain election violation cases to the International Courts. In his letter to the IECI, dated 5 February 2005, Dr. Hakim states that a letter was already submitted to the IECI on 31 January regarding the violations in Baghdeda, Karamles, Bartella and other places. However, the IECI is yet to take any steps to rectify the problem. Dr. Hakim stresses that the right of vote is a constitutional right and is protected by the Iraqi Administrative Law (TAL), thus, it could not be ignored. Dr. Hakim stresses that the IECI is solely responsible for the violations and will face the international courts and human right institutions if needed. Dr. Hakim asks that IECI take an exceptional decision to allow the people of the Nineveh Plain to cast their vote before publishing the final results of the elections. In protest to the defraud inflicted on the ChaldoAssyrians in the Nineveh Plain a number of the supporters of the Rafidayn Democratic Slate (#204) went on strike on 4 February in front of the headquarters of the Syriacs Independent Gathering Movement in Baghdeda. In Stockholm, Sweden, a coordinating committee from all Assyrian, Chaldean, Syriac groups has also called for a peaceful demonstration tomorrow in the center of the city (Sunday, 6 February) at 3:30 PM in support of the smaller ethnic groups who were deprived from their right to vote in the Nineveh Plain. The ChaldoAssyrian community of Toronto and Greater GTA will also be holding a public walk-out and protest on behalf of the ChaldoAssyrian, Shebak and Yezidi communities in front of the United States Consulate today from 1 to 3 PM. at 360 University Avenue. In England, the Assyrian Society of the United Kingdom is organizing a demonstration tomorrow (Sunday, 6 February) at 3 PM outside of 10 Downing Street to protest against the massive injustice perpetrated in the Nineveh Plains. On 20 March 2003, the war against the Iraqi Dictatorship began by the Coalition troops. The fall of Saddam`s Regime on 9 April 2004 was a reply to the request of freedom and democracy of the Iraqi people. For about two years, the Coalition troops and the Iraqi people have been trying to create a democratic and modern system so they offered many sacrifices. During this period, the Assyrian-Chaldean-Syriac people were attacked heavily. As a result of those attacks a dozen of people fled from their homeland. Especially on August 2004 the Islamic militant groups began their systematic terrorist attacks on the churches. Many individuals in Mosul, Baghdad and elsewhere were killed as a result. Those inhuman and systematic attacks were aimed at the Assyrian-Chaldean-Syriac people. The goal is to uproot and terminate this people from their homeland. Under such malicious circumstances, there exist powers who wish to marginalize the political will and hinder the representation of our people. 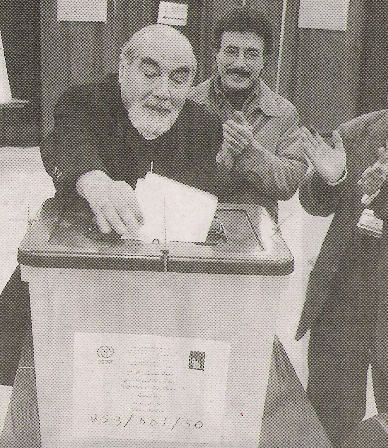 In spite of all this, the elections of the 30 January 2005 were considered a hope of security and democracy in Iraq. For this reason, our people were encouraged to vote, but they were prevented in many places especially in Baghdede, Bartella, Karemlesh, Bahzan, Ain Shifne, Shekhan and other places to which no ballot boxes arrived. Although those regions are considered the safest places in Iraq, their people were prevented from voting. This prevention is an obstacle in Iraq`s aspiration to democracy and pluralism. All such events injure democracy and peace in the country. Everything is an intended bad game. In spite of all those terrorist attacks and events, the elections are considered a positive step. In a short time, we demand the handling of all those problems and taking the political and social rights of the Assyrian-Chaldean-Syriac people into consideration in the new constitution of Iraq. Though the massacre, negligence, attacks, threat, destruction and the policy of forcing our people to leave their homeland, our people`s attitude was to peacefully demand freedom and democracy which became their characteristic trait. In order to defend their existence and principles of their nationality, they will struggle in the future to achieve this aim. We ask the powers of democracy, peace and freedom to support us in our struggle against the injustice. Moreover, we call all the political parties, organizations and institutions of our people to stand with us in our case. We also ask them to hold meetings and to be alert to the conspiracy and organize our people. 1. To keep our Assyrian-Chaldean-Syriac people internationally secure in Iraq. 2. To have representatives of our Assyrian-Chaldean-Syriac people in the Iraqi Parliament. 3. To stop the pressure on the political organizations of our people and let them work freely. 4. To punish the powers that caused our suffering on the 30th of January 2005. 5. To repeat the elections in the prevented regions. 6. To equalize our people with the others in the new Iraqi constitution. Chaldean Catholic bishop, Mar Ibrahim Ibrahim casts his vote at the Detroit area polling site in the first democratic Iraqi election. Mar Ibrahim heads the Chaldean diocese for eastern U.S.
(ZNDA: Detroit) Participation in the Iraqi elections by Michigan's large Chaldean Catholic population was "anemic," the president of the Chaldean National Congress said on 31 January. Fewer than 11,000 Iraqi-Americans -- Christian or Muslim -- took advantage of the opportunity to vote between January 28 and 30 at the out-of-country polling station set up in suburban Southgate to serve Michigan and neighboring states, said Joseph T. Kassab of Farmington Hills, also a Detroit suburb, who heads the organization formed to promote the interests of Chaldean Catholics in the new Iraq. Of the local voters, two-thirds were Chaldean, Kassab estimates. Chaldeans are Assyrian Christians in communion with Rome, and constitute the majority of Iraq's Christian minority. In an interview with The Michigan Catholic, newspaper of the Detroit Archdiocese, Kassab also said his organization received information that in Iraq some 250,000 members of minority groups, including Christians, members of a Kurdish religious sect and other religious minorities, were prevented from voting. The Iraqi elections were for members of an interim national assembly to draft the country's permanent constitution. Results were not expected to be available for at least a couple of weeks. (ZNDA: Fairfield) The Assyrian Universal Alliance, led by Hermiz Shahen, has called for a safe haven to be created in Iraq for persecuted minorities. Chris Bowen, the Federal MP for Prospect, will table in March a petition in Parliament supporting the plan and will call on the Government to change its policy on Iraq. Mr. Bowen said he hoped the petition would attract around 6000 signatures by the end of February. “We’re trying to put this item on the agenda, he said. “People are being discriminated against on the basis of their religion (in Iraq) and it’s got to stop”. The Assyrian Universal Alliance has received reports from Iraq indicating an escalation in violence towards indigenous Christian Assyrians, Chaldeans, Syriacs and Mandeans. Hermiz Shahen said he regularly hears of violence and persecution against minorities. “This persecution has taken the forms of physical destruction of religious places of worship, holy sites, as well as the kidnapping and murdering, “ he said. The petition is available at Chris Bowen’s electoral office, 115 The Crescent, Fairfield, and at the Wetherill Park Community Centre, 9am-noon. For details contact 0407 235 349. In the February 2, 2005 issue of Zinda Magazine, Poulous Y. Malik Khoshaba (or better known as Paul, son of Yousip Malik Khoshaba) claimed that he was not part of slate 130 (Kurdistani United List of Talabani and Barazani) and that he was not part of any slate for that matter. On January 25, 2005, the Independent Electoral Commission of Iraq published the names of candidates and the name of the slates participating in the Iraqi elections. Click here and scroll down to slate 130 and check the 110th name on that slate, it is the name of Poulous malik Khoshaba. If Paul thinks that there is an error, he should take his argument with the Independent Electoral Commission of Iraq. Just this past weekend, I was cheering in Jubilation as I voted for freedom. But as I read this weeks issue of Zinda, as well as posts on the AINA forum, my heart is filled with Dismay. How could we let our votes be denied to us? Was our happiness and hope just a mockery at the polls? Why didn't we see this coming? And if we did, why didn't we stop this? My answer comes to me, not from the 100 people giving their own interpretation of how they see things, but it comes from my own heart. We can blame the Kurds and the US and anyone else you might have in mind but the real truth is that we did this to ourselves. We fight publicly over what name we should be called. We fight publicly over who is going to lead us. We fight publicly over who gets the recognition. We fight publicly over our own history. Did we not anticipate then, the public itself to give us our answers? With all due respect to Mr. Kanna, was it so important for him to be on the front page of Zinda with a big smile casting his vote, knowing that thousands of Assyrians in the north would not be able to do the same? Isn't the captain supposed to be the last one off the ship ensuring the safety of all his passengers? Once he realized that the voting would not take place in the Assyrian villages as planned, every Assyrian around the world should have been notified immediately. It only takes a phone call. Only then, could every Assyrian instead of voting have protested in front of the voting centers to call the media's attention to ourselves. Why are we afraid of that? We have been silent for so many years in the north because we want to pretend that we are happy living with the Arabs and the Kurds, but by keeping silent, it is costing our Assyrians in the North their rights as well as their lives. Why don’t we have an Assyrian military in the north? I heard it was dismantled to appease the Kurds but now why can't we revive it? I can almost certainly assure you that if we did revive it, it would be increased with thousands of Assyrians, young and old alike throughout the world returning home to fight for our Assyrian rights. Just close your eyes and imagine the strength and the power of our Assyrians fighting for our nation as they once did in the past. I am not questioning how Mr. Kanna has handled the survival of our people in the north, because I think that no one could have done a better job with what we were handed, but when we make our own bed, we lay in it, and it is our own choosing of who is in that bed with us. Why are we always compliant to what others expect of us? I see that constantly with our leaders, past and present of every organization and political party around the world. We do what is predictable, never questioning the hand down of injustice against our own nation. When Mr. Yousip Bet Kolia was demonstrating on a cross in front of the UN this past weekend, how many of us were there? Do you all think he was doing that for his own recognition or for the Assyrian nation? He was doing that for our nation and the most terrible mistake was that there were not 10,000 of us marching around him! That would have put us on CNN and Fox news don’t you think!!?? Maybe even the front page of the New York Times for that matter. When I proceeded to ask around about this, the answers astonished me: “Oh how can we dare support someone who was just evicted from the church, or how could I as an Iraqi, dare to support someone who comes from Iran? I mean who cares that he is an Assyrian!” What is wrong with us!!! I don’t care if Kiryakos is up the re! If someone is making a statement on behalf of the Assyrian nation, then we should support them!!! And so I will continue to feel dismay, not for what was given to us in the past or the present but for what will become of us in the future. I leave with a story for every one to contemplate. A few years back, I was attending a banquet of the Arab American Chamber of Commerce. There were about 1000 guests in attendance including many high political figures and CEO's of major corporations. The guest speaker was Secretary of Energy Bill Richardson from Washington. During his speech about reaching out to the Arabic community, a well known and respected Arab guest, although from a different region than most of them present, began to shout out questions to the Speaker from the back of the room. (Imagine 1000 people in a banquet hall and someone screaming towards the podium from the back of the room) He was questioning the US policy regarding the treatment of the Arab women and children in Palestine. At that moment a rush of embarrassed and uncomfortable Arab community leaders and party hosts began to surround him. The speaker continued his speech while the angry guest continued his verbal abuse and questions to the speaker. We all thought at that moment he would be escorted or even thrown out of the Banquet. (Something we as Assyrians would have surely done.) But something else happened. As he continued shouting, all the community leaders and hosts that were trying to silence him or take him out, instead stopped to allow him to speak and continue his questioning of US policy, and later not only allowing it but joining with him in the challenging questioning as well. Immediately, the Secretary of Energy stopped talking and in front of all the key political figures present, informed the guests that he would ensure they look into this concern. He promised to have a private meeting with key leaders as well as the belligerent guest immediately following his speech. His promise was kept as he was escorted off the stage and into a private room with those same people who would not stop until they were heard. The matter was handled immediately, because the one who makes the most noise is the one who gets heard. That, my dear Assyrians is the only way we are ever going to impact our rights as a nation. It is disheartening and appalling to see a dream come true tarnished by irregularities. In Iraq, the symbolically orchestrated voting facilities were set up and executed as planned. The Shi'a balloting was predominantly guaranteed. The Kurdish vote was predominantly guaranteed. Both sectors had ample facilities, so as not to miss any willing voter. There were also those that feared reprisal from within, hence fearing for their own life by not voting, went to the polls as well. As a matter of fact, in the North - where the majority of inhabitants are Kurds, and from Baghdad down to the Kuwait border, including Basra, where the majority are Shi'as, there was more fear by not voting than by venturing out to vote. No one really expected the Sunni adherents would participate in throngs, so no challenge and no encouragement were in place. IRAQ: -- It was arranged long before, that the vote of the Assyrians in Iraq, would have to be controlled. All those in the Kurdish dominated areas were to cast their ballots for the slates empowering the Kurdish Parliament and Kurdistan. The other areas, mainly the northern plains, where over 200,000 Assyrians reside, the facilities were specifically inordinate so that their ballots would not cost the powerful slates of the Kurdish Parliament and Kurdistan. As far as Baghdad, where the majority of the Assyrians live, there was rampant fear of self-incrimination, and a great majority of Assyrians just took the election process in stride and stayed home. UNITED STATES: -- Of the five (5) voting centers, the two on the East Coast, namely Maryland and Nashville, Tennessee, were ostensibly designed as: (1) Maryland, as a Nation's Capital center, where just across the Potomac River, in Virginia, no less than 30,000 Kurds live and prosper. There are no more than some scattered Assyrian and Chaldean families in and around Washington, D.C. area. Obviously some Chaldeans did participate, however, the Assyrians, mostly being immigrants from Iran, wouldn't take part even if they were eligible. Many immigrants descended from Massachusetts, Connecticut, New Jersey, New York and Pennsylvania. Nashville was arranged as a scapegoat for the Eastern Seaboard. It could be a tempting immigrants to converge on that city from Carolinas down to Florida, via Alabama, Louisiana and Mississippi. Some scattered Assyrian and Chaldean families reside in this part of the United States, with the exception of Florida. However, mostly that cast their ballots were Kurds and perhaps a few Arabs. DETROIT: -- Well over 120,000 mainly Chaldeans live and work in the State of Michigan. Mostly are around the auto industry triangle. There were two (2) voting precincts dedicated for them. Yet, not even 5% participated in the election. CHICAGO: -- Two voting centers accommodating most Assyrians and Chaldeans were set in Rosemont and Skokie areas. Chicago boosts over 100,000 Assyrians. How many participated? Perhaps no more than 8,000. But even this figure is inflated, since it could include Arabs and Kurds. LOS ANGELES: -- San Jose and Central California - Modesto Valley - is the habitat for no less than 25,000 Assyrians, and along with the rest of Northern California, Bay Area and Sacramento included, there could be another 10,000, mostly Chaldeans that perhaps could be tempted to participate in the voting process. However, this is merely a hypothesis, since we shall never know. Los Angeles area Assyrian and Chaldean population could be somewhere between 15,000 and 20,000. The voting precinct for California was set up in Orange County. The residents of Los Angeles area are mostly Assyrians that have never lived in Iraq. Perhaps their parents did way back prior to World War I, and that is all. Hence, they were not expected to go through with the elections for Iraq. From My home to El Toro the distance is 23 miles. Then, from my home to Los Angeles, there are another 20 miles of constantly heavy traffic. Mathematically, the distance an Assyrian or a Chaldean would have to travel Los Angeles to vote in El Toro would mean to be 23 + 20 = 45 miles. Right? Wrong! Practically no Assyrian or Chaldean lives in Los Angeles proper. They live way out in the Northern suburbs that extend from 15 to 30 miles from Downtown Los Angeles. Back to math. Therefore, 45 + 20 = 65 miles. This is the distance a resident of Los Angeles would have to travel to cast a ballot. San Diego: -- Contrary to Los Angeles, The San Diego residents, numbering 30,000, are 98% Chaldeans. El Toro, the voting precinct is exactly 73 miles from San Diego. It is only 8 miles longer than Los Angeles to El Toro voting precinct. What happened to the Chaldean voters of San Diego? Detroit and Chicago Assyrian and Chaldean population adds up to around a quarter a million (250,000). The residents of Chicago and Detroit could have made that trip with no effort whatsoever, since it was not farther than their supermarkets and shopping malls. 30,000 of San Diego residents could easily have access without much effort as well, because they were equidistant from El Toro with Los Angeles residents. For me to assess. For you to judge. The Assyrians are the major Christian group in Iraq, where they participated, with some hindrances, in last week's election. A native Assyrian herself, cultural historian Dr. Eden Naby has a great concern for the survival of her community, which has suffered from persecution throughout the 20th century. She has published extensively on the Assyrians, as well as the Afghans, Turkmens, Uighurs and Kurds, and has conducted NEH seminars for teachers at Harvard University and the University of Massachusetts at Amherst on religious and ethnic minorities in the Middle East. She is currently editing a book about the Assyrian diaspora worldwide and preparing a monograph on Assyrians in the Middle East. Christianity Today Online Assistant Editor Rob Moll spoke with Dr. Eden Naby about the Assyrians and their struggle to maintain their heritage. ROB MOLL: Assyrians have been in Iraq for a long time. Could you tell us about their history in the region? EDEN NABY: Iraq is a recent term. Assyrians were in the region long before the British, the Ottomans, the Arabs, and the Kurds. For Assyrians, the term Mesopotamia makes better sense since that Greek word—meaning "land between the rivers"—expresses where they have lived historically, between the Tigris and the Euphrates. The combination of an increasingly minority ethnicity and language plus the problem of being Christian under Muslim rule has driven Assyrians into the hinterlands of Iraq—the natural refuge areas of the marginalized (either deserts or mountains). The Assyrians went into the mountains, although significant numbers remained on the Nineveh plains where churches date to the 4th and 5th centuries or earlier. When Iraq was cobbled together through conquest and negotiations with the successors to the Ottomans, many Assyrians ended up in Iraq. Others lived in Turkey, Iran and Syria. After the Islamic Revolution in 1979, Assyrians left Iran in such numbers that only about 15 percent of the post-World War II community remains. What forces caused Assyrians to emigrate? Persecution of Assyrians during the past several centuries has centered around their Christianity, not their ethnicity. It is only in the 19th and 20th centuries that ethnicity has come to play a role in the Middle East as a source of friction. Records from the 19th century are plentiful and clear: Islamic governments treated all "people of the Book" as tolerated second-class citizens. The Assyrians were subjected to poll taxes levied against non-Muslims and the oppressive feudal system prevalent in the Middle East, which combined to keep the Assyrians poor and starving. But more immediately, they were the victims of Kurdish tribes often appointed as "tax farmers" for the Ottoman rulers in the areas where Assyrians lived. Kurds therefore became accustomed to abusing Assyrians both as a different, non-Kurdish speaking minority, and as Christians with no recourse to authority. Most egregious was the regular abduction of Assyrian girls and women. The opportunity to emigrate came with the advance of Tsarist Russia southward and the entry of Western diplomats and missionaries. The first big emigration was to Russia, which is still a thriving and educated community that has retained its Aramaic languages since 1828. The second emigration was to America, the Christian-friendly land that was able and willing to take a hardworking laborer or a good student. 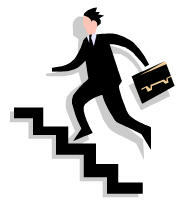 In the late 19th century, men began coming to work in cities with industrial jobs. But persecution increased, as did opportunities to emigrate. The years 1895-6 were particularly severe as were 1905, 1909, 1912, 1914 and finally 1915, the Year of the Sword. By 1918, nearly all Assyrians were refugees somewhere. Until 1924, when the U.S. immigration law became more restrictive, Assyrians poured into the U.S.
During times of persecution, even with the backing of British and American diplomats and missionaries, there was little the Assyrians could do to defend themselves except make appeals, have the missionaries buy back their sisters and daughters, and study hard to improve themselves. Medicine and technical fields became their strength. As doctors, they passed the well-developed art of healing from ancient practice, plus Greek knowledge, to the rest of the Middle East. There is a strong emphasis on education in the Assyrian community in America. In minority communities, especially from the Middle East where under Islam there is little economic opportunity, education is the key. Medicine is a long-standing tradition among Assyrians. Medicine is transportable across cultures. Most of the intellectuals who came over and were trained in the ministry, education, or something else ended up doing factory jobs. Assyrians are concentrated in certain areas of the U.S. Why? Mostly because of factory jobs. Also missionaries helped to send some boys to school. Ohio Wesleyan, Springfield International College in Springfield, Massachusetts, and Colombia University, were a few schools Assyrians attended. At Colombia, Professor Abraham Yohannan came to help translate the New Testament into Syriac—not the ancient language, but they Assyrian vernacular in Iraq. The pre-WWI immigrants came to work. Only after 1912 did permanent residence in the U.S. dawn on the community as it saw waves of persecution build against them. After WWI, our community was either killed or scattered. Two-thirds of our people were killed or died of disease. How has the Assyrian community stayed connected, both within America, and with Assyrians in the Middle East? The basic connection is family. People in our community, as in most Middle Eastern communities, remain closely connected to extended family. When people immigrate from Iraq or Syria, part of the family stays behind. This is a plus and minus because when you have your great uncle still living in Baghdad you're very careful about what you say about Saddam Hussein or anyone who could turn around and harm your people. The second connection is through religious organizations or cultural institutions. But it's not easy holding on to a second and third generation because of the language issue. How important is keeping the language to maintaining the culture? It is possible to be an Assyrian and not know the language. Certainly there are people who are Jews, Armenians, Native Americans, who don't know the language of their community. We have people who feel strongly that they are Assyrian, but the basis for their being Assyrian has diminished considerably because of the loss of language. The Passion of the Christ was in Aramaic. Could Assyrians watch without the subtitles? Many people could understand much of it. If I didn't want to see the subtitles and just listen, I had to close my eyes, which I didn't want to do. I understood about 50 percent, and I'm not as well acquainted with our written language as some. Is there a larger interest in Aramaic because of the movie, and has it affected your community? I'd like to say that Mel Gibson had an effect on the community, but I don't think it's Mel Gibson at all. In terms of the visibility of Aramaic, it certainly created a lot of visibility outside of our community. We simply do not have facilities to propagate our written language. We had greater literacy in our community in 1920 than we do today. The reason is that before 1920 the West had an enormous interest in our language. There is a story about the 50th celebration of the American presence in northwest Iran, which was in 1884. They had invited some Persian dignitaries and a missionary was sitting next to one of the Persian officials. The official noticed a lot of women sitting together with books in their hands, and the official turned the missionary and said, "what are those women doing with those books. Women in your community can read?" and they asked for all the women who could read to stand up. 600 women stood. I don't think we have 600 women in Iran today who could read our language. We have a population of 15,000. There has been no opportunity for our people to study our language. Can you maintain it in America? We have social institutions and church institutions that teach and propagate the language. One of the problems we have is that some churches insist that the vernacular should not be written [for services], and that the only language should be Syriac, which died out as a spoken language in the 14th century. Other churches, the Chaldean and the Church of the East, pushed for the vernacular. Using the vernacular means the church, when it teaches the language, teaches the vernacular. That helps to preserve the language. Is the Historic Assyrian Heartland Joining the so-called Kurdistan? The latest irregularities and violations against the ChaldoAssyrians in north of Iraq during the Iraqi national elections have stunned the Assyrians and many around the world. Reports from north of Iraq Nineveh Plain state that ballet boxes did not reach the 150,000 ChaldoAssyrians and that not a single polling center opened its doors in their District of Hamdaniya. The boxes were lost between the promises or efforts of the governorate, the local electoral commission, the powerful Kurdish political groups, and the Kurdish militias. Worth mentioning that the neighboring Kurdish villages of Dobirdan, Sikan, and Hasar did not experience such problems and they all voted well into the night. Whereas the governorate officials and the electoral commission promised to extend the election hours in order to give those who did not vote a chance to do so, voting took place on January 31 in Ba'ashiqa only and in a symbolic manner that benefited mainly those individuals associated with the Kurdish united slate 130. The ChaldoAssyrians living in the Nineveh Plain must be given their rightful chance to select their own representatives to the Iraqi National Assembly. Furthermore, what happened in the District of Tel-Kaif was beyond anything that is democratic. The national guards who were suppose to be neutral and bring security to the polling centers, were completely bias and collaborated with the Kurdistan Democratic Party (KDP) and Patriotic Union of Kurdistan (PUK) groups. The national guards were raising the Kurdish flags and were asking the people to vote for the Kurdish united slate 130. They chased the other groups' candidates and beat the representatives of the opponent political groups. The actions of the two main Kurdish groups (KDP and PUK) in Nineveh Plain are deplorable and impudent. The Kurds tried to intimidate the natives; however, the demonstrations of thousands of ChaldoAssyrians in many towns in the Nineveh Plain proved that they will not be bullied by the Kurds and would not accept anything but true democracy to be exercised. Majid Esho reports that the KDP militias beat up Lewis Qoryaqos, member of town council, as they accuse him of organizing the demonstration in Baghdeda. He remains in hospital. The KDP militias apprehended the four electoral members in Baghdeda until the elections were over, under the pretext that their ID cards were fake and illegal. The Kurds continue to commit atrocities against the native ChaldoAssyrians in order to achieve their ultimate goal. The purpose of preventing the ChaldoAssyrian Christians from voting in Qaraqosh (Baghdeda), Bartella, Karamlesh, Shekhan, Ain Sifni, and Bahzan is obviously to prevent the true ChaldoAssyrian representatives of these regions from reaching the Iraqi National Assembly (parliament). The same applies to the Yezidis in Sinjar and the Shabak. Thus, when the time comes to debate the writing of the Iraqi permanent constitution, these native groups will not challenge the Kurds in the parliament. Furthermore, and in yet more dangerous turn of events, a meeting took place in the Shikhan District governmental offices on February 3, 2005. According to reports from the region, representatives from various cultural centers, civic society institutions, and certain notables attended the meting. Among the attendees were Tahsin Beg, the emir of the Yezidis, Mar Micha Pola Maqdassi, the Catholic Bishop of Alqosh and Shikhan, and Mulla Yunis the orator and prayer leader of the big mosque in the district, and government representatives for the cities of Shikhan, Sinjar, Ba'ashiqa, and Alqosh. The attendees presented an official complaint to the Independent Electoral Commission of Iraq (IECI) in connection with the neglect and incapability of the electoral commission in Mosul. The attendees presented to the IECI to select one of the two following options. Either add an equal percentage of votes to slates 130 (the Kurdish United Slate) and 204 (Rafidayn National slate), depending on the population of those regions, or restore to the people of these towns their right to vote. 1. That these districts be disassociated from the Mosul governorate. 2. A new governorate in the east side of the Tigris be formed that comprise of these districts. 3. Associate this new governorate with the north of Iraq Kurdish regional government. The Kurds are moving forward in carving all districts within the Nineveh Governorate that are situated east of the Tigris and joining them to what they call Kurdistan. These districts are historically Assyrians and have been since the ancient times of Imperial Assyria. The Kurds are determined to draw the eastern borders of their so-called Kurdistan to coincide with the Tigris River. They will accomplish this at the expense of the divided Assyrians who continue to waste their time in arguing among themselves, attacking each other, or have certain leaders silent and ineffective.